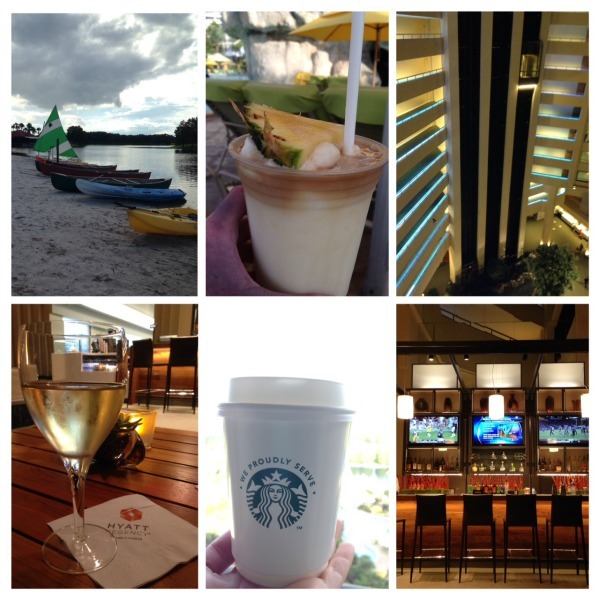 I recently had the pleasure of staying at the award-winning Hyatt Regency Grand Cypress in Orlando. The resort is centrally located to the various theme parks in the area and is one mile away from Walt Disney World. The moment you arrive on property you pass beautiful, lush tropical scenery and artsy statues. I was taken aback by the huge lobby. Its glass ceiling and see through elevators are unique. At night the light blue lights that are on the perimeters of the floors give off a pretty, laidback feel. Our room was a king pool view deluxe guestroom with a small balcony. The view was awesome! You could see all of the pool area, the lake and parts of Walt Disney World. Spaceship Earth and Tower of Terror were along the skyline and at night you could see all of the firework displays right from the balcony. Such a great bonus! In regards to being in such close perimeters to Disney property, Saratoga Springs Resort can be seen right across the way. Our room was decorated in modern décor and was spacious. I liked how they had a separate couch area to sit and watch television instead of having to sit on the bed. Coffee maker with Starbucks brand coffee and tea, Wi-Fi, fridge, flat screen TV, large closet with safe and alarm clock are some of the in-room amenities. I LOVED the shower in this room. It was a pretty white iridescent tile with a huge rain shower head that was built into the ceiling as well as a regular shower head in the wall. It was like being at the spa especially with the spa-like toiletries. One of the main things that set this resort above many of the others in the area is the Resort Services Program. There is a separate fee per day for each day of your stay that is in your room package. It allows you unlimited access to all the activities at the resort. I had a hard time deciding on which activities we wanted to try. I really enjoyed the 9 Hole, Par 3 Pitch N Putt and the water sports. Lake Windsong is beautiful and so peaceful. This is a great way to relax back at the resort while taking a break from the theme parks in the area. Walking paths, S’mores pit with classic family marshmallow roasting fun (nominal fee); beach volleyball, tether ball, lounge seating and hammocks; old- fashioned, canopied surrey bikes and traditional bicycles; four exclusive Jack Nicklaus Signature Design golf courses; Tennis and Racquet Club; and marked jogging, walking, and biking trails. Health Club Open 24 Hours, 9 Hole, Par 3 Pitch N Putt, Water sports: Canoe, Paddle Boat, Hydro Bike, Aqua cycle, Sailboat and Kayak, Bikes: Adults, Children and Surreys, Golf Driving Range, Court Time at the Tennis Racquet Club, Daily Scheduled Shuttle Transportation to Walt Disney World Theme Parks, Universal Studios/ Islands of Adventure and SeaWorld, Wired and Wireless Internet, and Free Local and Toll Free Telephone Service. It’s vast property of 1500 acres offers up beautiful views and a host of activities. Lake Windsong on the back of the property has a 1000 foot white sandy beach where you can sail, canoe, kayak, hydro bike or paddle boat. They have a 1/2 acre free-flowing lagoon pool with a grotto that has 12 waterfalls and 2 whirlpools. For the kids, there’s a new water slide tower pavilion, an interactive water jet splash zone and rock climbing stations. One cool feature that really stood out to me was the rope bridge that is across the entire length of the back pool. It was fun crossing over it and seeing a lot of the pool sun deck area. One side of the pool is heated which helps on those rare cool days in Florida. There’s a large poolside bar called On The Rocks that serves food and beverages. There are several televisions so if you have a sports lover in your family they will like this feature. It was so relaxing lounging poolside with a pina colada, taking in the view of the waterfalls. Hyatt Regency Grand Cypress has multiple locations to dine: Hemingway’s, Cascade American Bistro, Palm Café, Sushi, Hurricanes Lounge, Trellises Lounge and On The Rocks Poolside Lounge. As well as 24 hour room service. So there are plenty of options for any palate. We dined at their signature restaurant Hemingway’s which is named after Ernest Hemingway the famous writer. The cuisine consists of the sustainable fish, specialty steaks and the chef’s creations. They have an extensive wine list, specialty drinks and desserts. You have to try the Alaska style Key Lime Pie and the Peanut Butter Bomb! At the end of the night we had a nightcap at the Trellises Lounge in the resort’s lobby. The staff was super friendly and it was fun just taking in the views of the vast lobby. I tend to favor resorts that have a lot to do within the lobby. It’s a nice way to explore a resort especially when the weather can be unpredictable. Shopping is a plus too! Hyatt Regency Grand Cypress has a sundries store as well as an art gallery. 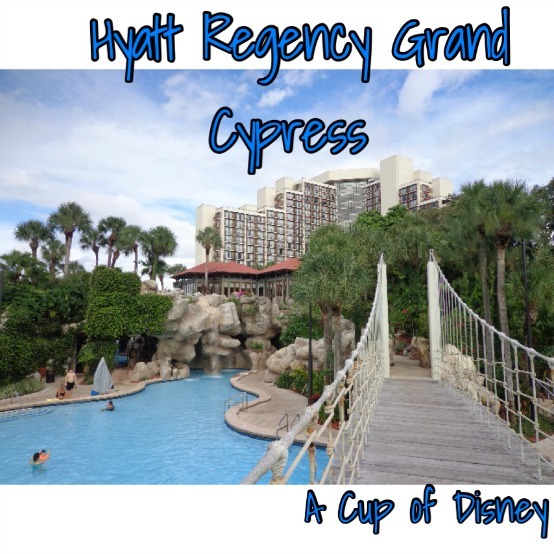 Hyatt Regency Grand Cypress is chocked full of activities, restaurants and is so close to all the Central Florida fun. Once you check in you won’t want to leave. It’s like being in your own private resort island. They have an amazing deal going on to coincide with Epcot’s International Food and Wine Festival. Click Here to view the Food and Wine Package Offer. Hyatt Regency Grand Cypress is centrally located near Orlando International Airport and Interstate 4 off Exit 68 in Lake Buena Vista. The resort’s address is One Grand Cypress Blvd., Orlando, Florida 32836. For more information; call 407.239.1234; visit www.GrandCypress.Hyatt.com; like Hyatt Regency Grand Cypress on Facebook; and follow on Twittter at @HRGrandCypress. 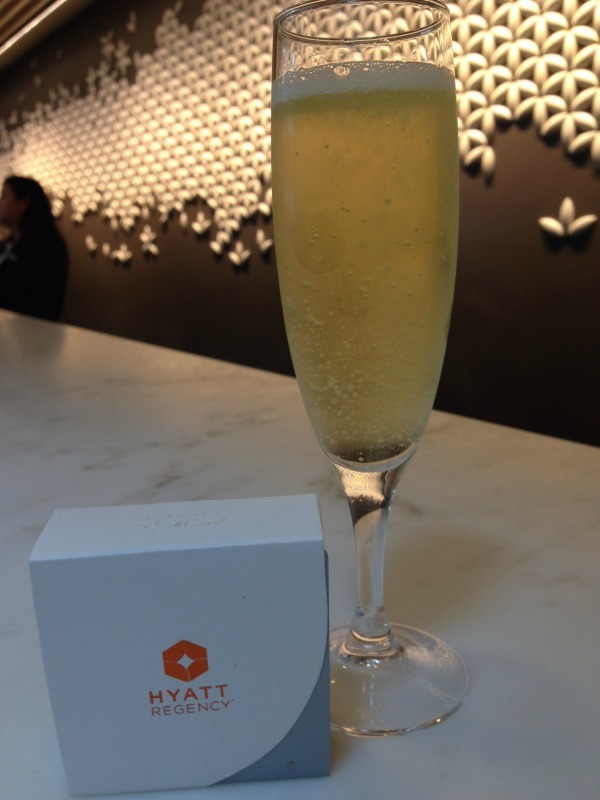 Thank you so much to Hyatt Regency Grand Cypress for hosting our stay. I was not paid to write this review. All opinions expressed are my own. This place looks so pretty, we will have to look into staying here some time.